That's right guys and girls, With the recent announcement from Systema regarding their 'Energy' line of products, we've managed to pick up the complete line of Energy products to go on our shelves. Is this another upgrade from the Systema revolution gearbox they launched some time back? Ranging from gearboxes, pistons, cylinders, gears to motors plus many more other smaller parts. You can dramatically transform your AEG into something new, something different and definitely more efficient. 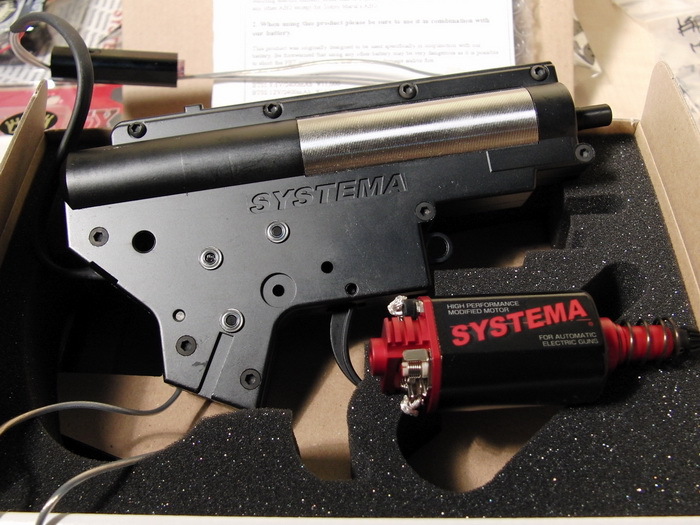 If you've read the previous news post regarding Systema's line of products please feel free to check it out again here. That page includes static data for the motor performance under a few variables that definitely make this an interesting read. By reducing the initial inertia required to start the mechanical system, not only will it reduce the energy required to run the system but also reduce the mechanical wear on the components due to the reduction of the forces involved. Systema have also looked into various other ways into making their systems more reliable in different conditions as well as being more efficient, talk about attention to detail here... These guys really have been digging deep and thinking outside of the box, we'll go into detail below on each part as we come across it. 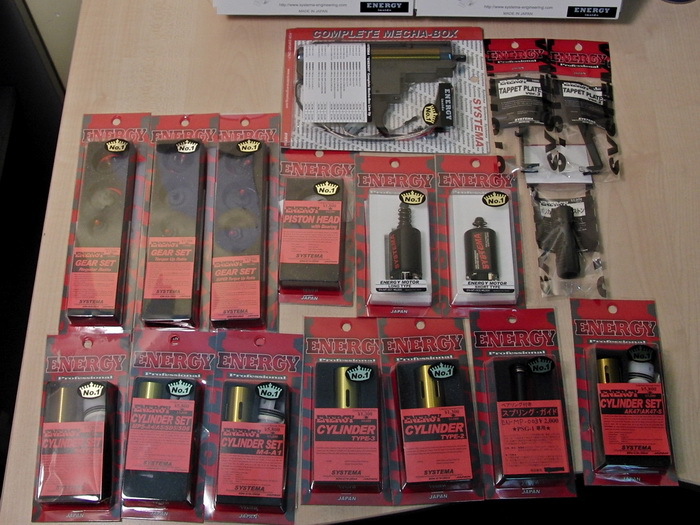 The parts shown in the above picture are just a selection of a wide variety of Systema Energy parts available in our inventory which will be available within the next day or two. 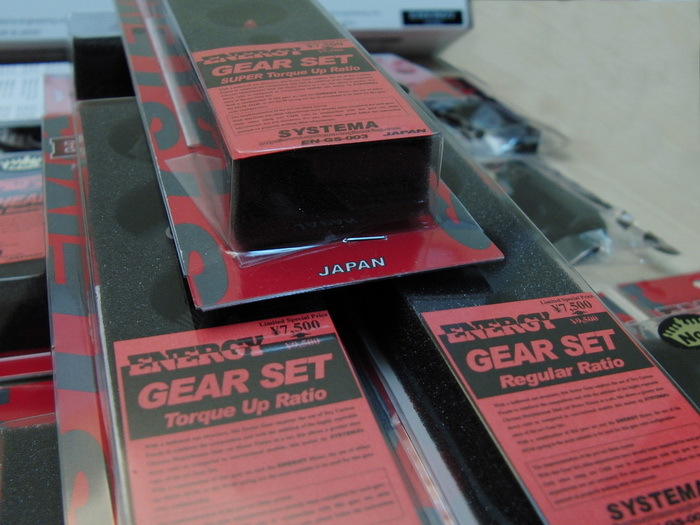 For those that would like a complete rebuild, a complete gearbox and motor set is available to choose from too. Available in a wide variety of configurations to cater for the wide range of version 2 gearboxes out there on the market today. 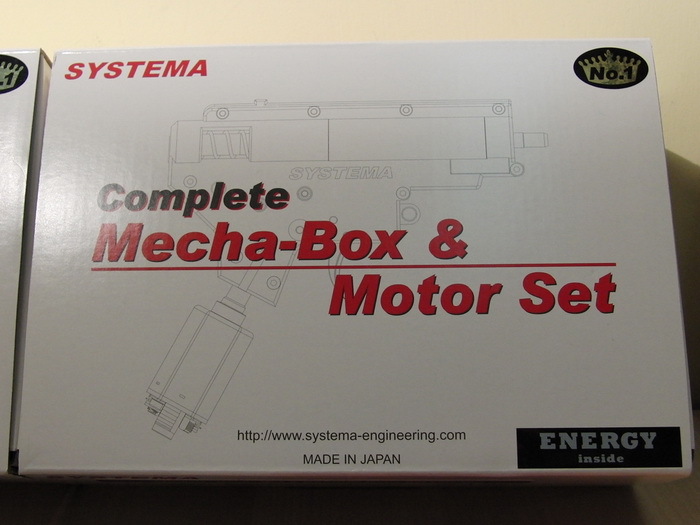 As the picture here shows, the 'Energy' series comes with a black colored gearbox and surprisingly, what seems to be a magnum motor instead of their 'Energy' motors as the red shaft spacer and motor plate suggests. 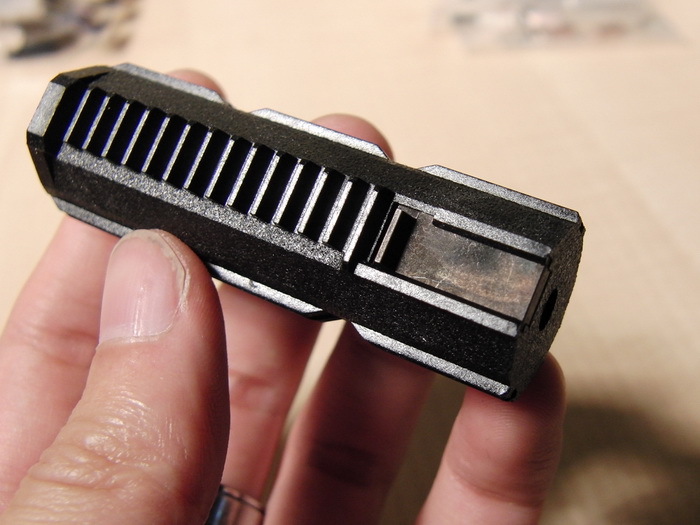 The Energy motor however, comes with a matte and somewhat 'cooler' color to go with guns. 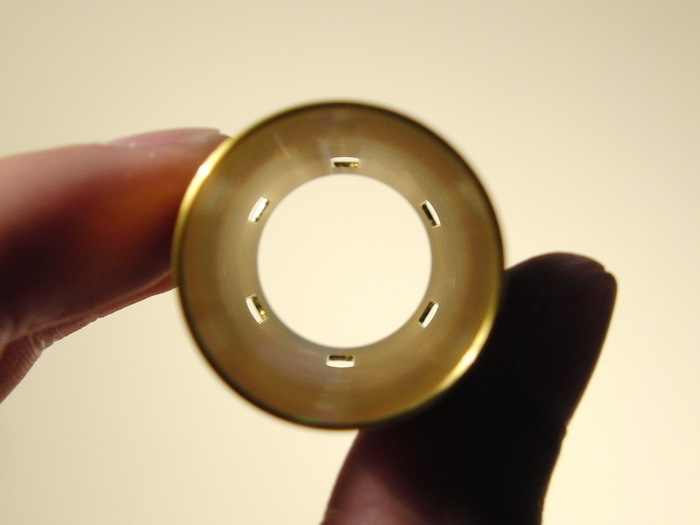 This is the main distinction between the Energy motors to the other alternatives. The Energy motors have been redesigned from square one using specific magnet strengths and size as well as motor case thickness that allow the motor to perform with maximum efficiency. 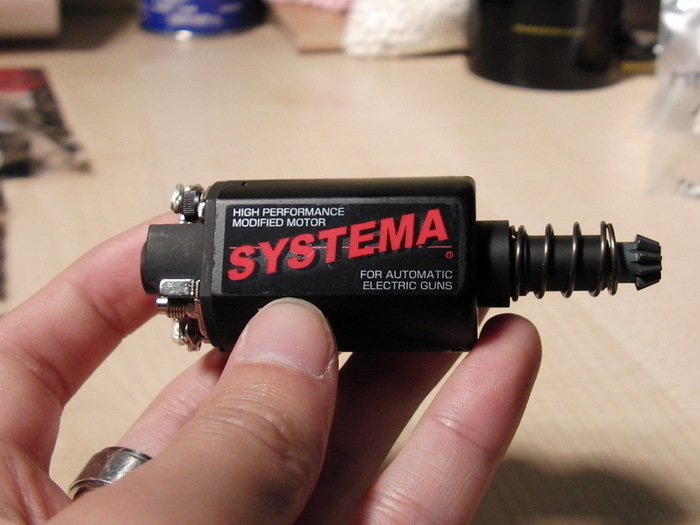 The idea of better efficiency through lowered internal resistance still continues to shine through when inspecting the base of the motor as those of you that are familiar with the Systema PTW line of products will notice that the motor brushes also use the 30% Ag parts to offer greater conductivity for better performance. 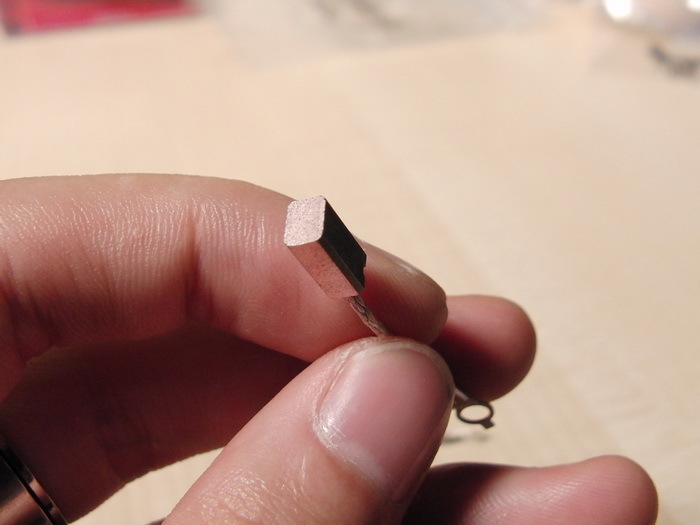 The Ag30 motor brushes can be seen here, maybe this can be comparative to the formula one technology placed into small town cars making them more efficient. 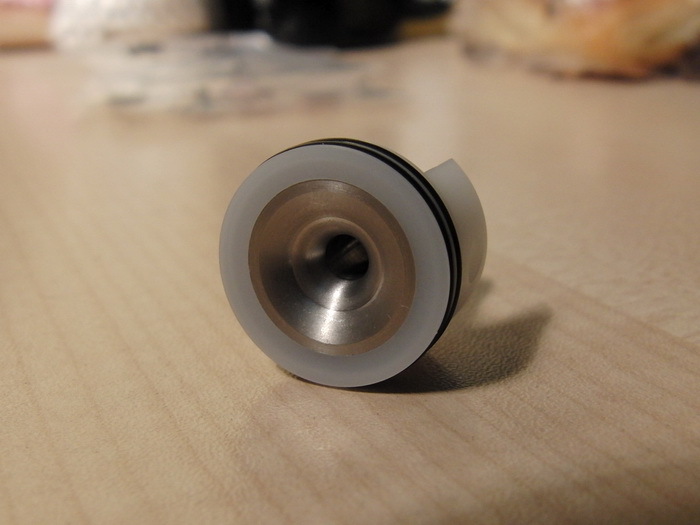 To give a clearer view of the silver brush itself, a close up shot here. 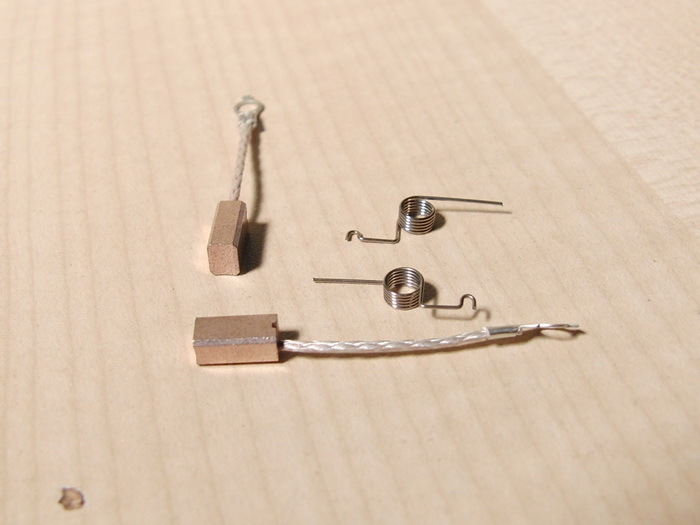 Note: the wire has been interwoven to give it a stronger integral strength, reducing chances of damaged wires over time. 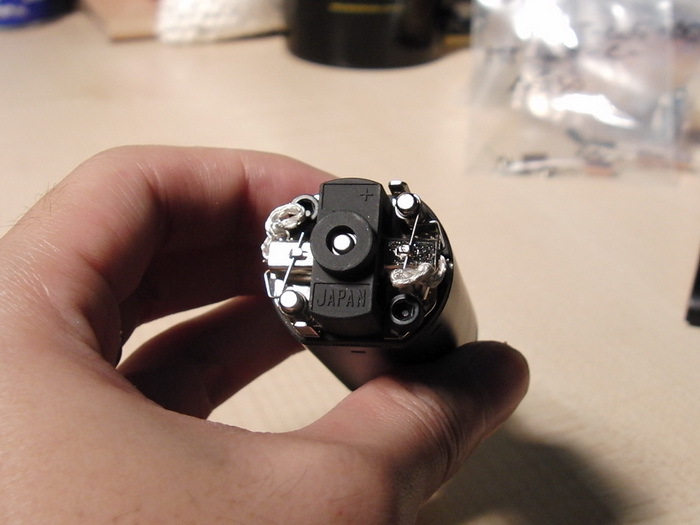 The cylinder's port holes can be comparative to the 'birdcage' style flash hider but this is not to control any burning gasses, but to spread out the air flow around the cylinders reducing any chances of a biased air flow that contributes to an inconsistent fps output. 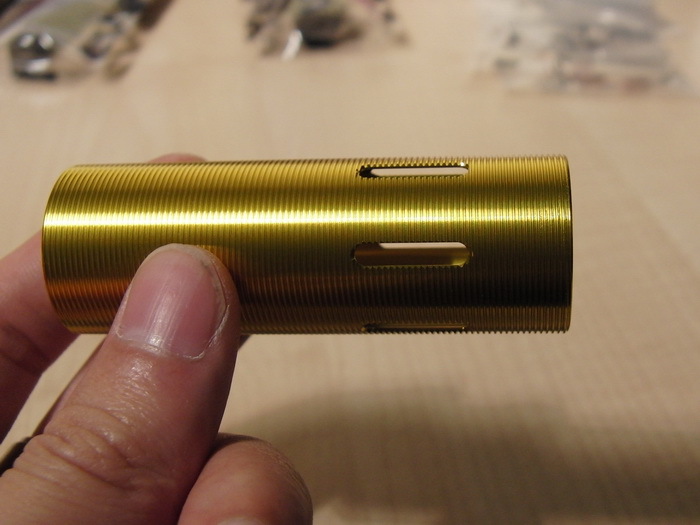 Systema also claims that the manufacturing process for this aluminum (yes, a brass colored one) tube was actually cut from the inside to prevent the cylinder grease from deviating to both ends. Studying the airflow from the cylinder, Systema have also allowed a smoother air transfer via a concaved cylinder head, this design has been seen in various other aftermarket performance parts too. 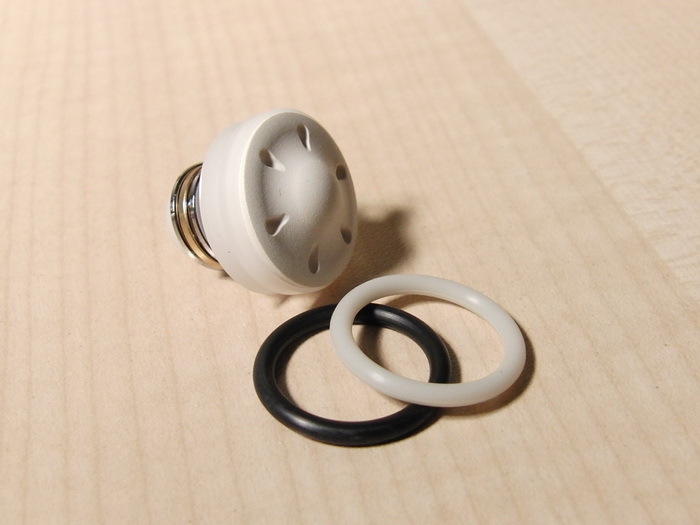 Incorporating the smoother airflow with a double O-ring seal on the cylinder head along with an O-ring inside the nozzle, all you need is a small amount of grease to prevent any air loss that will lead to inconsistent muzzle power. 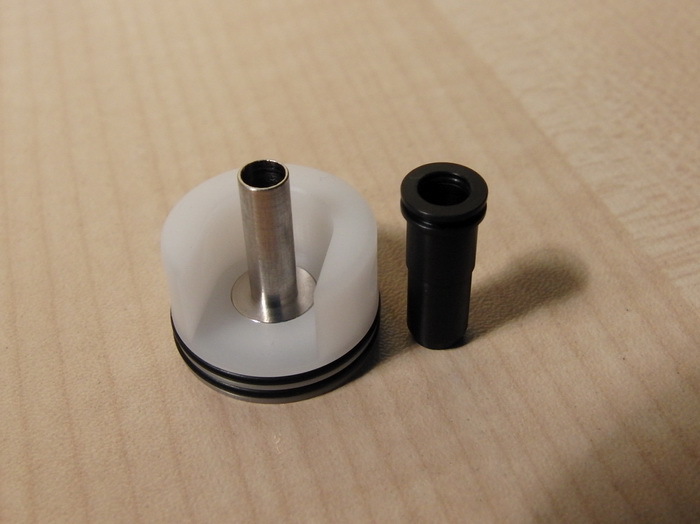 As this picture shows, the piston head is ported to allow greater air seal by directing the pressure to the inside of the O-ring, there are also 2 to choose from for a warmer or a colder climate. Using traditional Systema molding materials, they were able to draw out the maximum amount of impact resistance from polycarbonate along with carburization processed steel tooth to cope with either high power or high speed setups. 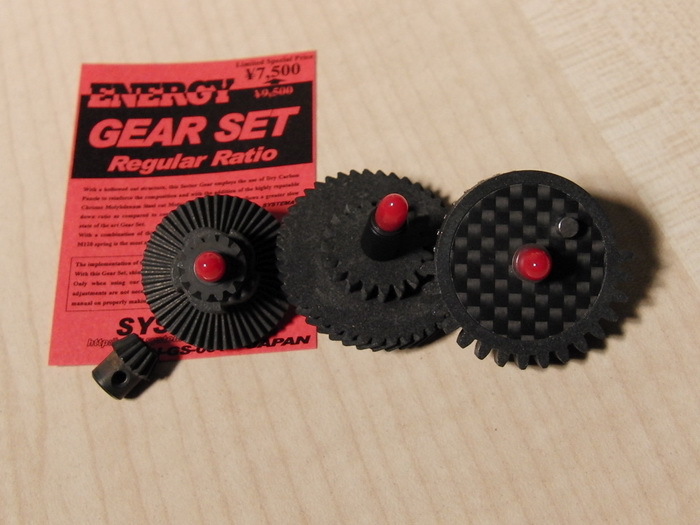 There are also a new set of gears too, available in 3 settings, regular ratio, high torque and ultra high torque ratios to cater for the different needs out there. You will also notice that the sector gear has a carbon fiber panel put in, this was done to reduce the initial inertia required to run the system. The gears are also made of chrome molybdenum steel that gives great strength and durability without adding additional weight.